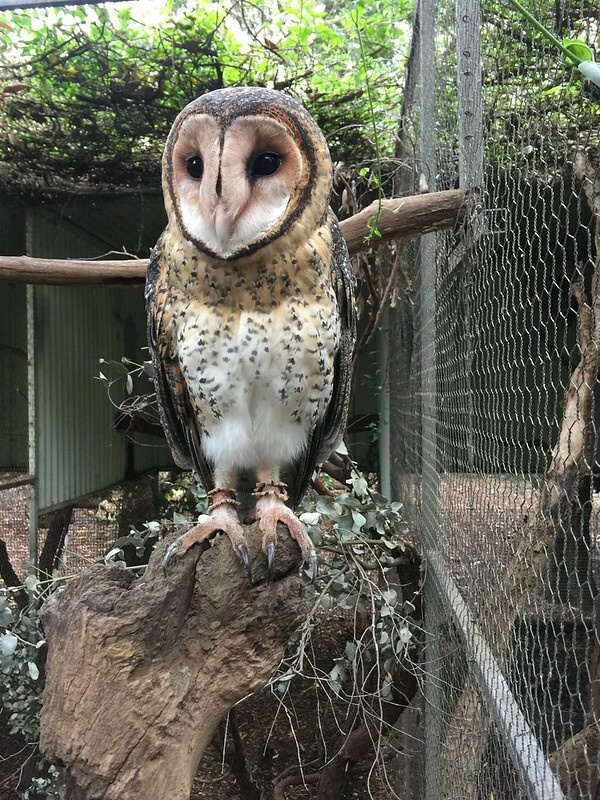 A month after we have visited Featherdale Wildlife Park, I finally found some time to write about our experience. It was a random decision that my husband made one Saturday. 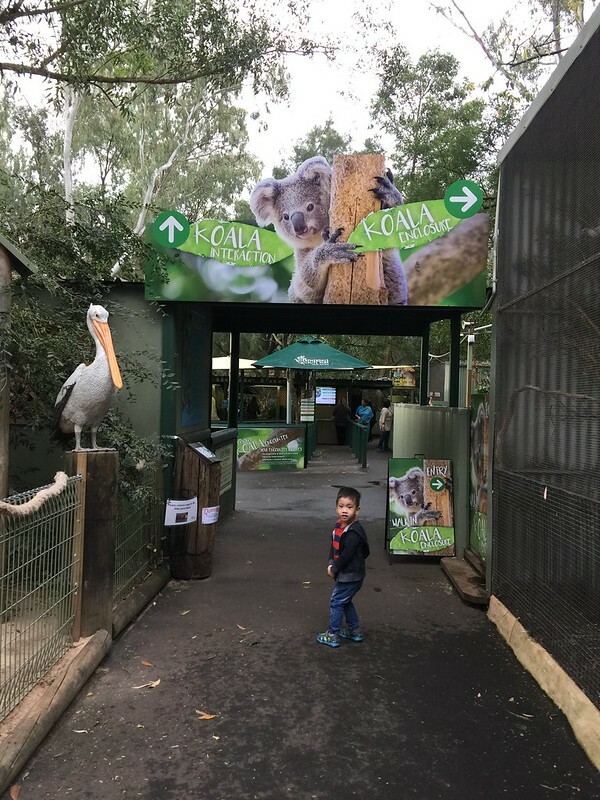 He was aching to do something new, different from our usual grocery and mall routine, hence the decision to visit a zoo! 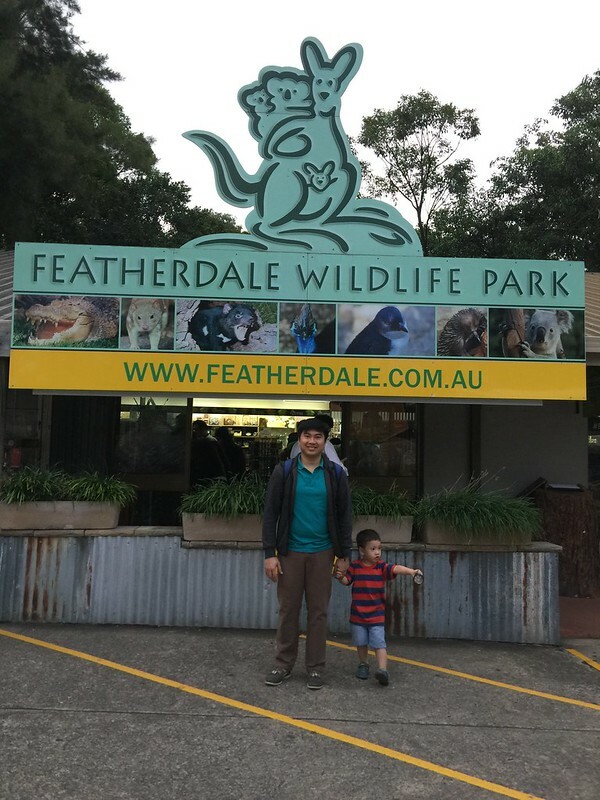 Paolo then drove us to Featherdale, located in the Blacktown suburb. 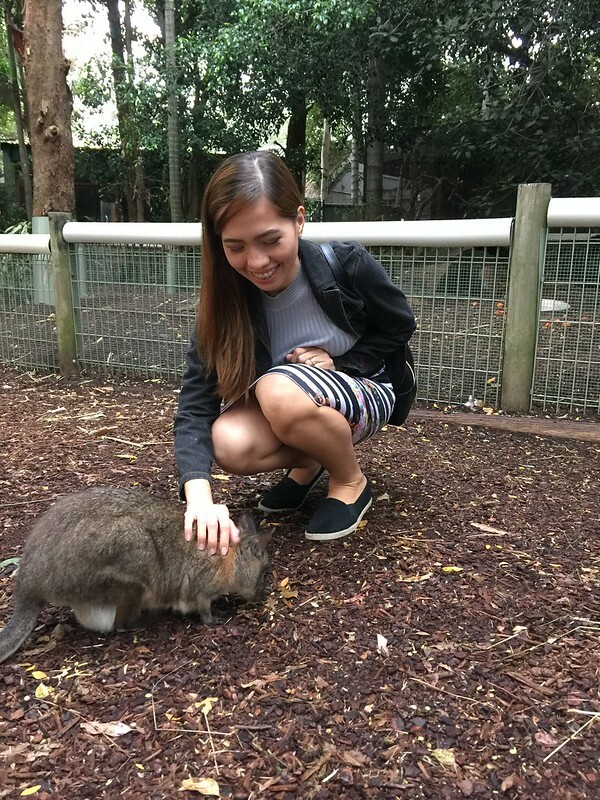 For just 30 AUD per adult, (kids under 4 enter for free) we got the chance have a personal encounter with the roos, koalas, wallabies and see different animals. 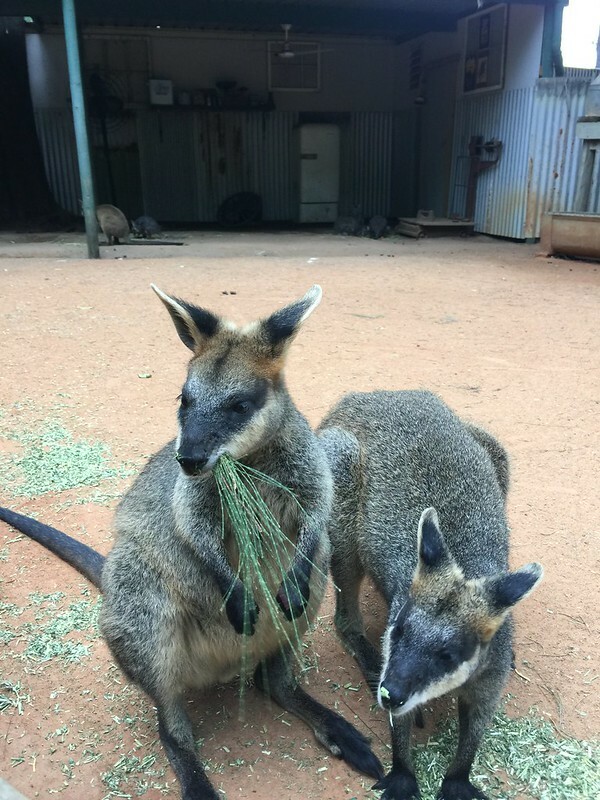 Upon entry, a group of wallabies was excited to get feed. For about 2dollars a cup, you can get a cup full of feeds to for the animals. 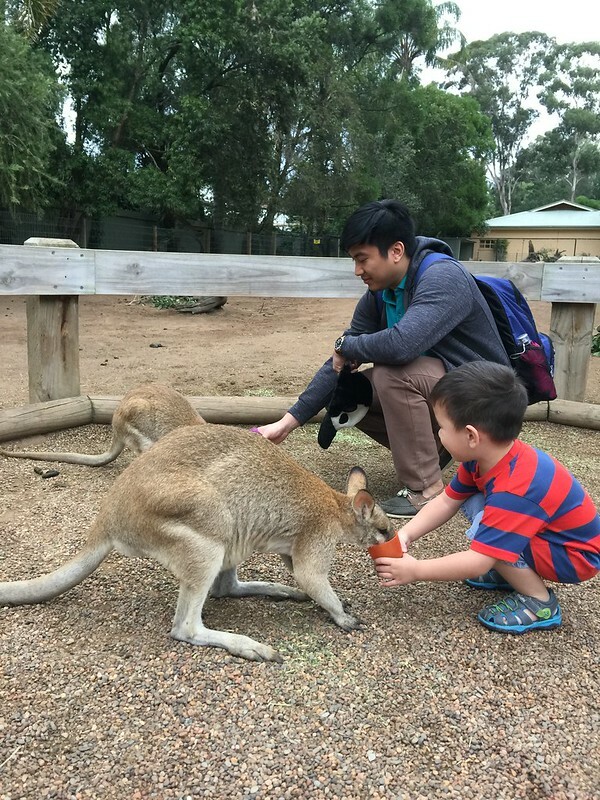 Luckily, other tourists gave us theirs for free and the brave little boy was just too happy to feed them. 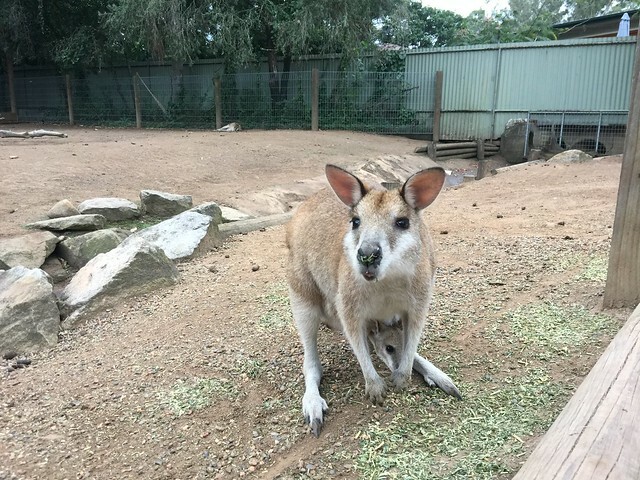 Repeatedly, he kept on saying, Mommyy, wallabies are eating!" 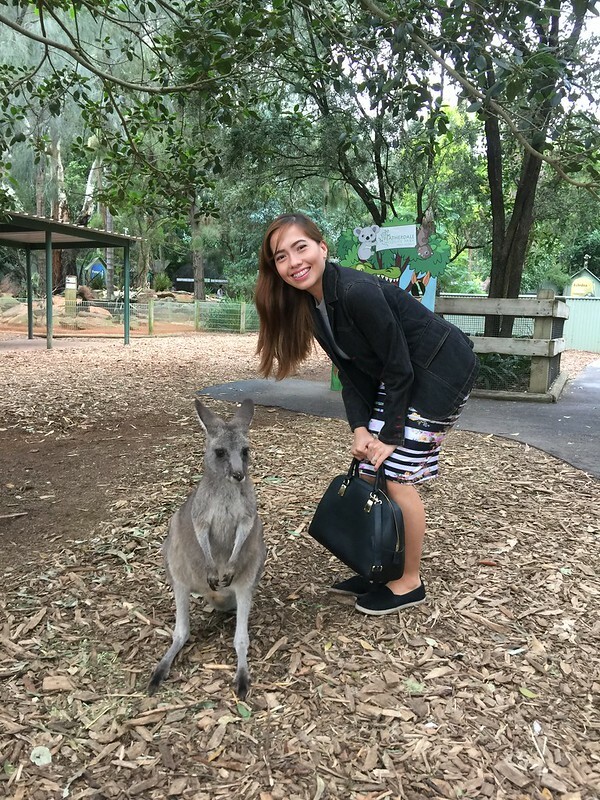 Then we head to get up close and personal to those cute looking koalas. They are so cute and sleepy that I just want to take them home -- even my son would agree. He never kept on saying, "Koala is sleeping. 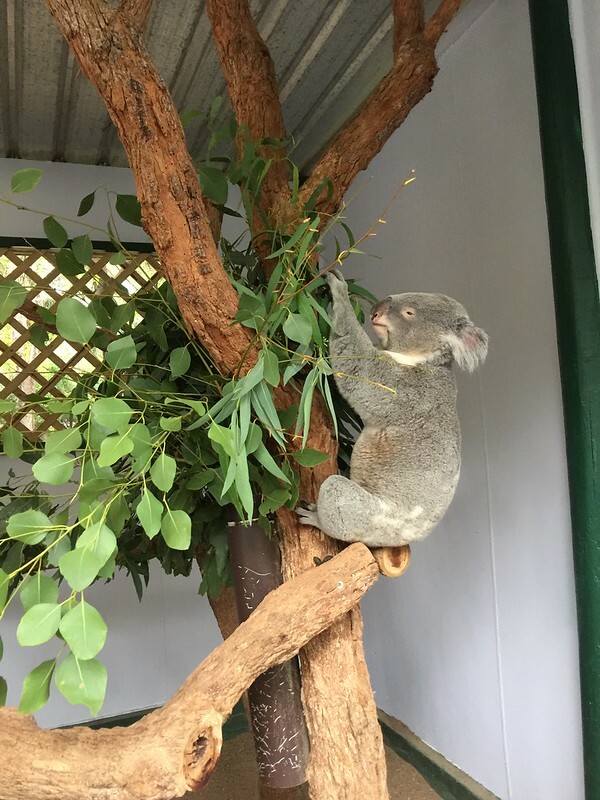 Koala is eating grass." 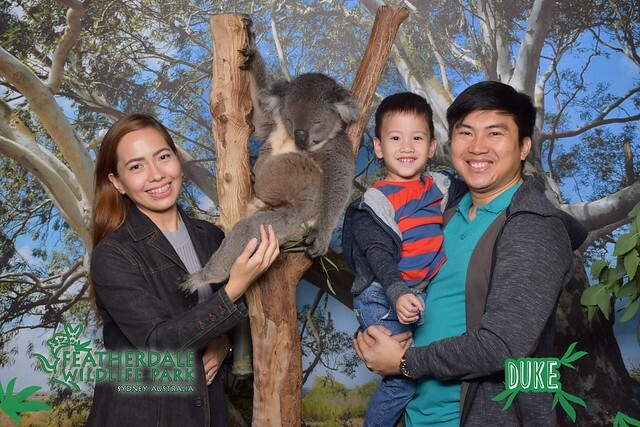 Then, for an additional 20bucks, we had out photo taken beside the real koala. (This is a huge deal for us cause we really spend for the souvenir photos! Those are our mini collection). 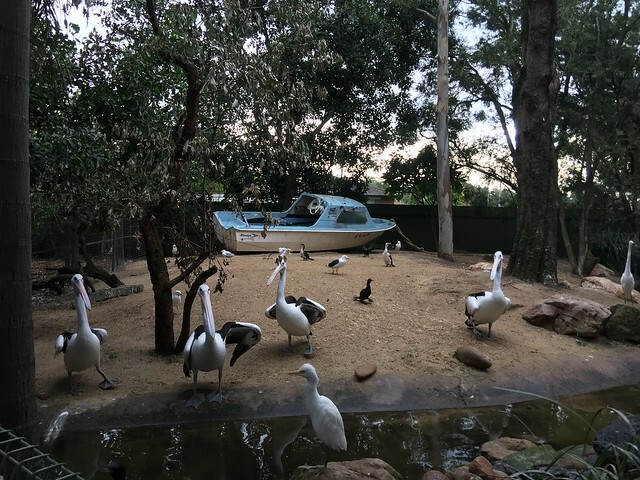 We proceeded inside and saw the different wildlife inside the zoo. 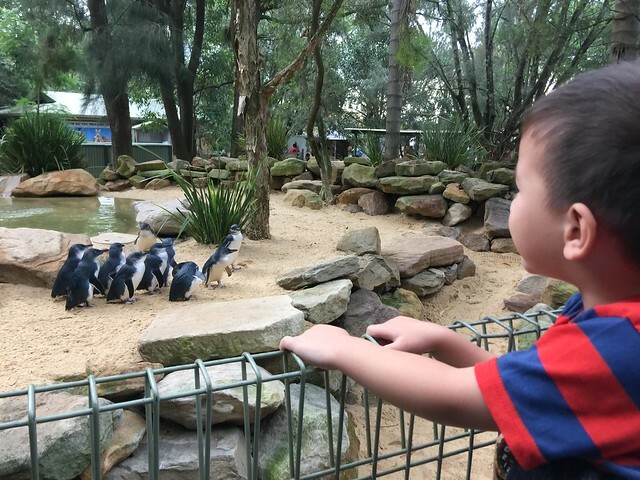 I particularly enjoyed seeing the baby penguins and the colorful birds inside. I actually saw the birds in Rio there - the spics macaw! Our overall trip was fun. 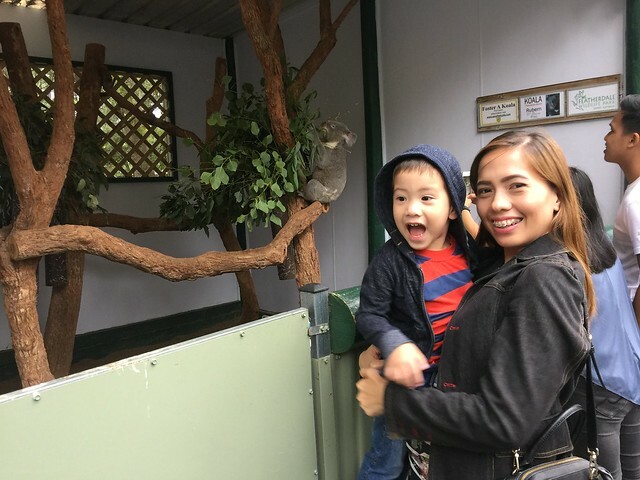 As we get up close and personal to the different animals in the zoo, we saw our son, Leon very eager to feed his curiosity to learn and see the animals. 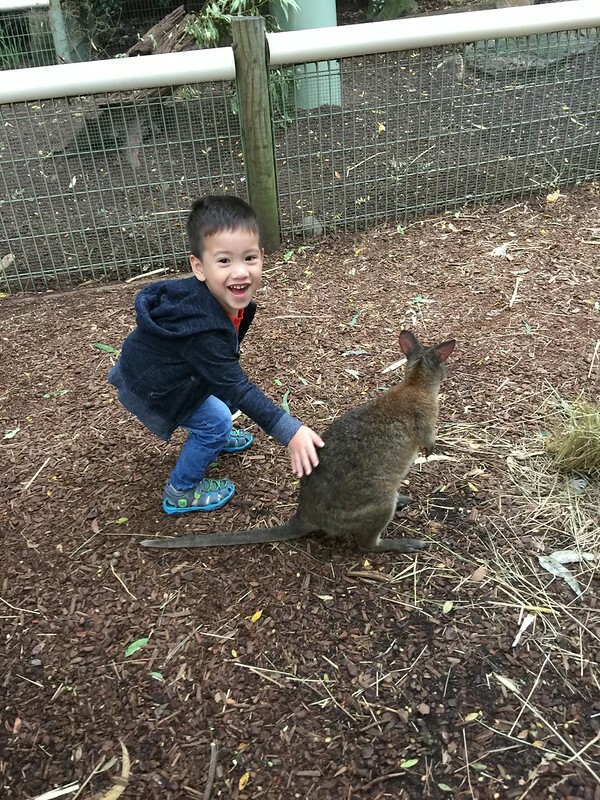 We were so amazed on how smart he is - repeatedly saying, "look, the kangaroos are eating!" "Look, the crocodile! It eats humans" "wow mommy, birds!" We were so happy that our little family bonding became a learning adventure for him. The only disadvantage would have to be the food. The cafeteria inside does not offer a lot of food options and they are a little pricey (for our standards). We had to settle for some small pies and croissants as our lunch. Next time, we'll just bring food and have some picnic inside.